Very rare can medical practitioners find information online about doctors loan. This makes this type of credit extended to all qualified doctors in the field as a challenge for a professional Pinoy loan consultant / broker like me. Furthermore, money lending is not a common type of quick cash bridge financing to avail for professionals in the health industry like doctors. Given this chance, I'd like to invite medical professionals in their specific field of specialty to know more about this low interest loan offer which can possibly be a 1 day release type of credit offer in the Philippines today. Comparing with extended bank loans, private lending companies give far much better choices and fast loan processing. But don't worry, if you apply through our FREE loan application assistance service, you can rest assured we have both ends meet by providing you with multiple lenders willing to extend cash loan to qualified doctors. Please be reminded though that general practitioners are automatically qualified for a 1 day release loan if they are willing to submit complete requirements. A non-appearance process may also be done if client is willing to submit documents via online or email. We highly encourage this for a faster processing. Although a credit investigation (C.I.) cannot be ruled out as part of the process of doctors loan application and requirement we at Fast Loan Philippines are confident we can come up with a provider for you. Still, with a good communication medium like what I provide to "ALL" clients, a 1 day release loan for this type is very much easy to attain. Every loan in the Philippines takes it to a point that loan agents know secrets on how to avail of the lowest possible interest rate and charges / fees. With doctor's loan, it's the same. 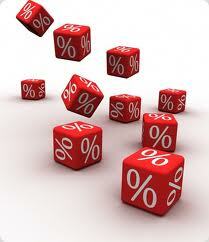 Meaning, if you want to avail the 1.68% interest rate, consult with the right agent. You can't achieve this if turn yourself into a walk-in applicant. Lending companies will never offer you lower interest available. Only through an offer of multiple provider can you choose from among which one has lowest rate. 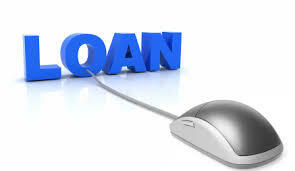 About 90% of achieving this goal will rely on the knowhow about the particular doctors loan offer of your loan agent. There is also 2 other factors - communication and willingness of the applicant or borrower to provide complete and correct requirements as disclosed by the agent based from the special case of each and every doctor applicant. How to Avail of 1.68% Interest Rate? Ok, since I've already disclosed a possibility, here's how you can do it - first, ask your loan agent if that is possible, not all of them have providers like I do. It's actually comparable to bank loan offers for doctors with respect to interest rates. Next step is to ask how long the process of application to approval will take. The most important part is that you don't have to go anywhere else to get 1.68% interest at the fastest time possible of loan application approval. You can contact me now or go search for other providers online. 1.68% interest rate is only possible if the lending company provider has it. There is also a program for doctors looking to buy hospital or clinic equipment. That will also help you achieve lower interest but not comparable to what we can offer here at Fast Loan Philippines. So what are the different types of existing medical loan offers for Philippine doctors and practitioners today? Let me give you my list as per lenders from my providers list. Note that each type had a particular corresponding interest rate and loanable amount. I also offer loans to other types of doctors in the field of medicine. To inquire, please visit my Contact Me page. Below is the list of requirements a doctor had to prepare as a first step in applying for this type of medical loan in the Philippines. If you are serious in your application, please prepare only the complete and correct requirements for faster processing. Note that it is always important to pre-qualify. I do this all the time to shorten time of processing and to know outright if a client qualifies to avoid wasting precious time of borrowers so they can go ahead and look for other options. Please understand that doctors loan is a non-collateral unsecured loan so there are cases when applicants might be required additional documents in case credit committee of lending companies feel that submitted documents are insufficient to prove income or in cases that capacity to pay (source of income) is not enough to pay for the desired loan amount. Rules are made for better service by companies and not agents. Please don't blame your agent and argue about these rules, we are also part of the "rule-following" population. For better optimal faster service, please discuss with me options rather than argue. Lending companies will always need assurance that their clients will be able to loan just the right amount that their source of income can pay to avoid all sorts of loan problems. This always works for the borrower's end. Here is the specific loanable amount allowed and their corresponding interest rates for a particular medical practitioner. The figures did not use any loan calculator in purpose to answer frequently asked question of "how much loanable amount" can be applied for the doctor's loan. These are lending company standards. For those who want to skip the hustle bustle of their inquiry, please fill up my doctors loan form below or Contact Me Now. I promise to call you as soon as I get your message or inquiry. I guarantee to contact you using my post-paid Globe / Sun / Smart / PLDT mobile landline. Just keep your lines open. Thank you for your inquiry. 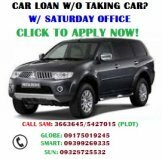 If you are looking for other fast options to get fast cash loan, we suggest you try to see what's in store for you by applying for our 1 hour car loan impounding.